Putting digital educational materials in front of a student is now an important part of the education landscape. It’s taken for granted. But, delivering material to students is only the visible tip of the iceberg, and just like the tip, there’s a lot underneath the tip which supports the student, course creator, instructor, publisher and institution to help successfully deliver those services. In order to seamlessly deliver that content, VitalSource has over a dozen product development teams, and each team includes product managers, software engineers, analysts, project managers, UI/UX designers, QA and test engineers. All are working on the hidden layers, building and managing software product, and most of them do not work on systems that face learners. 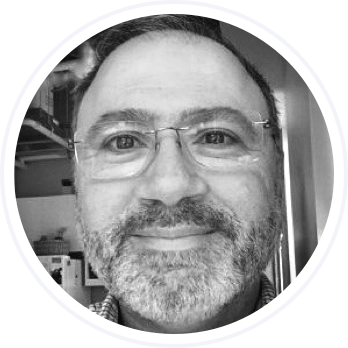 The systems engineering team worries about and monitors our underlying infrastructure and systems. They make sure we are replicating data to our disaster recovery sites, that we have plenty of capacity to handle our rush seasons, that we have proper security in place, and that our systems are patched and managed correctly. They own a big part of our ability to deliver our service level agreements. The Bookshelf LearnKit team manages and worries about the internals of LearnKit, which includes complexity like encryption, digital rights management and rendering content correctly. They write native code for all the platforms Bookshelf runs on. The testing and validation is non-trivial. 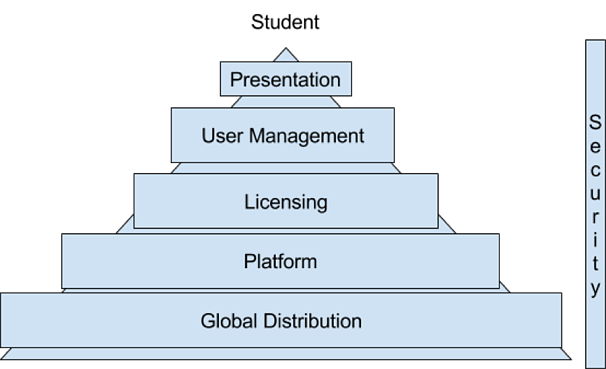 The Manage team runs the core platform responsible for user management, licensing, search, catalogs, permissions, content management and global content distribution among many other things. They develop and manage our V3 and V4 application program interfaces (APIs), which are used by partners around the world to integrate systems. Our APIs handle thousands of requests per minute. Our Business Center and Bridge teams manage tons of learning management system (LMS) integrations and learning tool interoperability (LTI) launches every single day. The different integration scenarios here can be very complex, and the software is managed to simplify evolution of the code. Our testing here is non-trivial. This team also develop a great platform for managing content and content integration. Our Content team manages our authoring platform and content-ingestion pipeline. Besides creating and managing a stellar digital-first authoring platform, they make sure content managed by VitalSource gets uploaded, distributed correctly and securely. Our analytics team receives a pipeline of fine grained data from all our systems and manages a big-data platform that makes data to publishers and institutions available, while making sure we are following proper privacy rules, laws and policies. First, we have a solid group that develops our student facing systems as well. The Bookshelf and Learn teams are great at building learning systems, and of course, UI/UX for student interaction. What most people don’t recognize is the amount of time and energy spent by these teams to make sure we are the most accessible reading platform on the planet. This requires a lot of developing, training, testing and evaluation. We are very proud of the work we do here, and consider it a core commitment. Finally, security overlays everything we do. I personally chair and run our security agenda and approach. Each team works to make sure we are applying best practices and techniques. I make sure that concerns are prioritized and addressed. We are careful in our handling of personally identifiable information and publisher content. We take this stuff seriously. Our foremost goal at VitalSource is to facilitate a positive learning experience for students of all abilities. Quite frankly, it is a goal we feel we do a good job of meeting, but that success is predicated on the work that goes on behind the scenes with our various teams. Without anyone of the them, we couldn’t deliver the solutions we do that help students.